One of our long-standing partners, Hacienda Zuleta, recently made an exciting announcement! 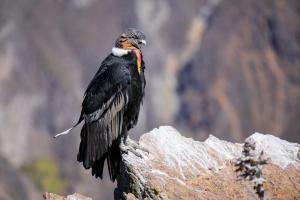 Over 20 years ago, their foundation started making conservation efforts on behalf of the Andean Condor. This is a species that has become critically endangered in Ecuador. Hacienda Zuleta's long term dream was to produce chicks in captivity that would eventually be released into the wild! Hacienda Zuleta obtained three mating pairs, (previously injured condors), and cared for them on their grounds. 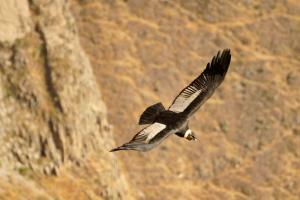 Four condor chicks have been born over these past 20 years, but unfortunately they all died during infancy. Today, however, Hacienda Zuleta has fantastic news to share with the world! Last July, a fifth chick was hatched and he has been thriving! This little fighter was named "Churi" meaning "son." Biologists firmly believe that he is strong enough to be released into the wild. They plan to release Churi, along with two other condors brought to Zuleta from the Quito Zoo, in May 2017. Want to be a part of this realization of a 20-year-long dream? You can help fund this effort through Green Our Planet, a crowdfunding platform that focuses on environmental and conservation projects. All the money raised goes to the Hacienda Zuleta project for Andean Condors, so you will be directly helping to free Churi! 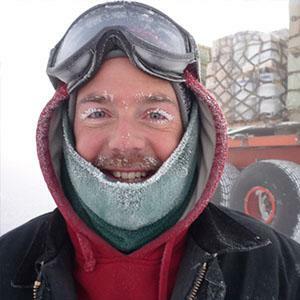 Read more of Hacienda Zuleta's story or donate funds to Green Our Planet. Want to visit Zuleta? Stay at this charming hacienda where the hosts are not only passionate about providing a fantastic experience for guests, but obviously care about their environment as well.